Confucius once said that a man of wisdom delights in water, while Leonardo Da Vinci claimed water is the driving force of nature. Water becomes a focal point in a garden, a natural meeting place for all creatures great and small. The attraction of running water captures all of the senses; visually, with the bonus experience of sound, smell, and touch. 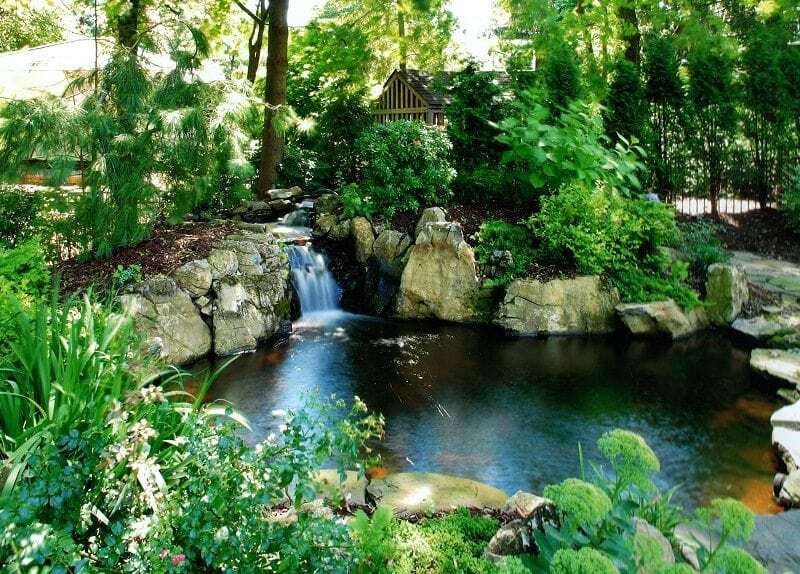 The expert landscape designers at Sponzilli offer the best water feature solutions for your property. We specialize in waterfalls, streams ponds, and fountains. Landscape design must have a continuity to it. Water features are a way to tie together many elements of design together. 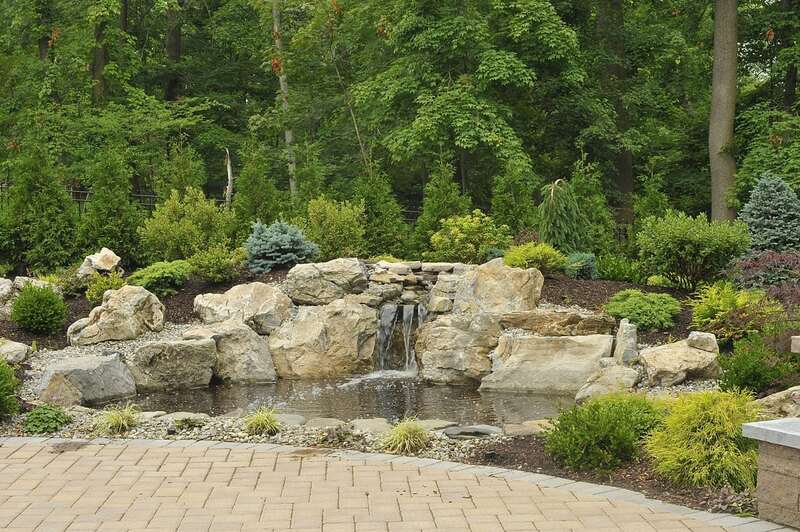 Whether it is cascading water over a waterfall near the pool, a koi pond surrounding a deck, a stream that meanders along a sidewalk, or a magnificent fountain in the center of your property, we can design a variety of Water Features installations. The sound of constantly falling water captures the imagination and gives us sense of movement that is at once harmonious, fresh, and alive. 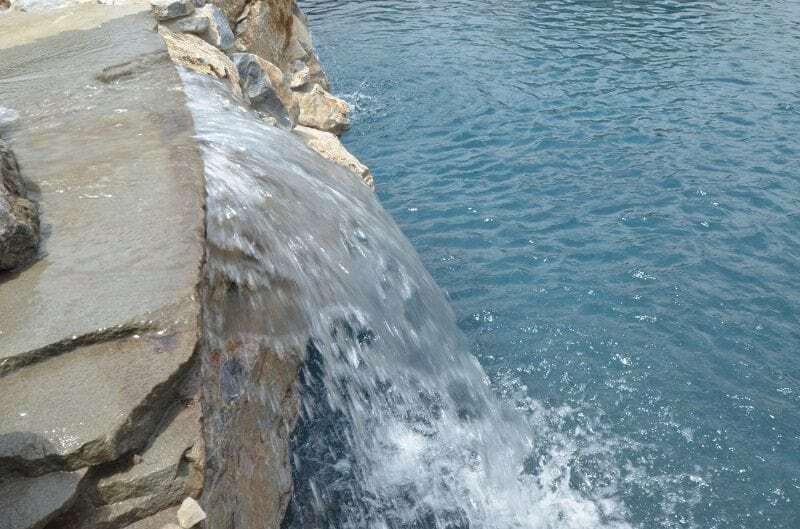 We take pride in our waterfall designs, so that we can create the soothing sounds our clients desire while providing them with the natural experience of water cascading over stone. Moving water adds a flowing texture to waterscapes and serves to define edges, bringing various landscape elements together. Our recirculating stream systems are an endless delight. For Japanese gardeners, the goal of a water feature is to convey an artistic purpose to the landscape, creating impressions of what nature communicates. A pond can provide a home for koi, frogs, turtles, birds, and other wild creatures. It can be a meeting places of all things wild, right in your back yard. Many people love the sound, look, and feel of fountains. They can take many shapes; either in natural, modern, or formal styles. 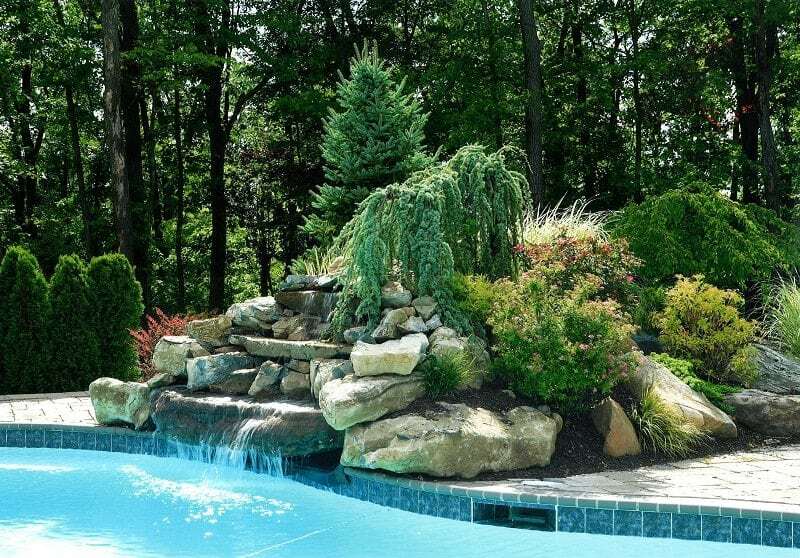 Sponzilli can incorporate stairway, multidimensional , multi-tiered, or container fountains, providing endless action and movement that give your landscape a classic or naturalistic appeal. Water has a restorative quality. People naturally resonate with the sound of water, and this is why water features are such an important part of a balanced landscape. Consult with our experts about how we can transform your commercial or residential property into a beautiful, blooming, and living environment that balances landscapes with waterscapes.